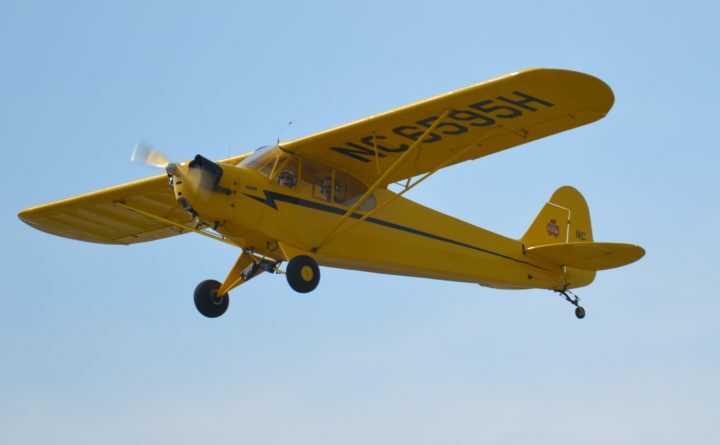 BELFAST — Belfast Chapter 1434 of the Experimental Aircraft Association will host its annual Airport Open House and Lobster Fly-In 7:30 a.m.-3 p.m. on Saturday, Sept. 15, at Belfast Municipal Airport, Wright Brothers Drive. Rain date is Sept. 16. Admission is free. Many aviation-related community services and educational organizations will be represented showcasing to the public the value of their local airport and the many ways it serves their community. Breakfast will be offered 7:30-10 a.m., including eggs, pancakes with Maine blueberries and real maple syrup, bacon, juice, and coffee, all for $7. There will be burgers, hot dogs and a chicken barbecue lunch, and the Stone Fox Creamery ice cream truck will be scooping happiness. Airplanes from throughout the United States will be flying in, including many homebuilts and there also will be static displays of various aircraft. Additionally, helicopter rides (for a fee) and free, Young Eagle airplane rides for kids ages 8-17 will be offered. Parental permission is required. In the past, more than 50 airplanes from as far away as Kentucky have flown in and more than 400 pounds of lobsters were flown home. We are expecting a larger turnout this year. For information, call 207-323-0616 or follow on Facebook at: EAA 1434-Belfast, ME.